Visiting Fellows and Professors - F.I.E.R.C.E. 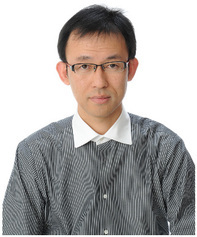 Dr. Taro Irisawa is currently an Assistant Professor in the Department of Traumatology and Acute Critical Care center at the Osaka University Hospital. He was a staff physician at Osaka University Hospital, Chief physician in Orthopedic Surgery at Toyohashi Municipal Hospital and Sub-chief Physician in Orthopedic Surgery at Sakai Municipal Hospital. Dr. Taro Irisawa attended the Osaka University School of Medicine, was a resident at the Osaka University Hospital, resident position in Traumatology and Acute Critical Care Center, and in Orthopedic Surgery at Toyohashi Municipal Hospital. He completed his postgraduate work in the Department of Traumatology and Acute Critical Medicine at the Osaka University Graduate School of Medicine. Dr. Taro Irisawa is a member of the Medical Control Council, Japanese Association for the Surgery of Trauma, Japanese Society for Surgery of the Hand, Japanese Association for Disaster Medicine, Japanese Telemedicine and Telecare Association and American Heart Association. Dr. Irisawa received research funding by Grants-in-Aid for Scientific Research by Society for the Promotion of Science in Ministry of Education, Culture, Sports, Science and Technology, from April, 2009 to March, 2012, PI=TARO IRISAWA, “Effective Strategy for Reducing Unexpected Cardiac Arrest of Inpatients”. His teaching responsibilities include the instruction of Immediate Cardiac Life Support, Trauma Evaluation and Care for primary trauma and pre-hospital trauma care by EMT as well as Major Incident Medical Management, training for disaster medicine and hospital strategy for disaster by Advanced Life Support Group. 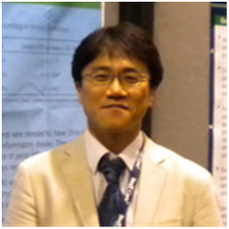 Dr. Sungwoo Moon is an Associate Professor at Korea University Medical School in South Korea. He is a board-certified emergency physician and Chief of the Emergency Department at Korea University, Ansan Hospital. Dr. Sungwoo Moon served on the Editorial Board of Journal for the Korean Society of Clinical Toxicology and was a member of the examination committee in the Korean Society of Emergency Medicine. He is a member of the Korean Council of EMS Physicians as well as the Medical Director of Ansan city, Gyunggi province. Ansan city is located near Seoul, South Korea which has a population of about 750,000 people. Dr. Sungwoo Moon joined us in August 2012 as a visiting scholar for a year and a half. During his time in the United States, he is studying and researching with Dr. Ben Bobrow about EMS and resuscitation science. His interest is to enhance community-level outcomes for emergency medical conditions through integrated regional networks and figuring out the role of emergency medical services as a safety net. Dr. Sungwoo Moon is planning to implement a community-response system to cardiac arrest, bench-marking the SHARE Program in Ansan city and Gyunggi province (population ~12 million people).